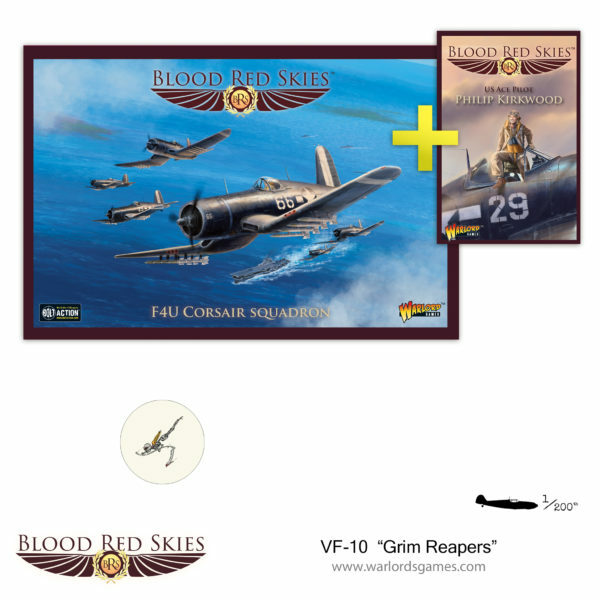 Fighting Squadron 10 (VF-10) known as the “Grim Reapers” Corsair Squadron is about to return to the Pacific theatre aboard the USS Intrepid (CV-11) in Blood Red Skies! VF-10 began its illustrious career flying the Grumman F4F Wildcat, deployed with USS Enterprise to the Southern Pacific. 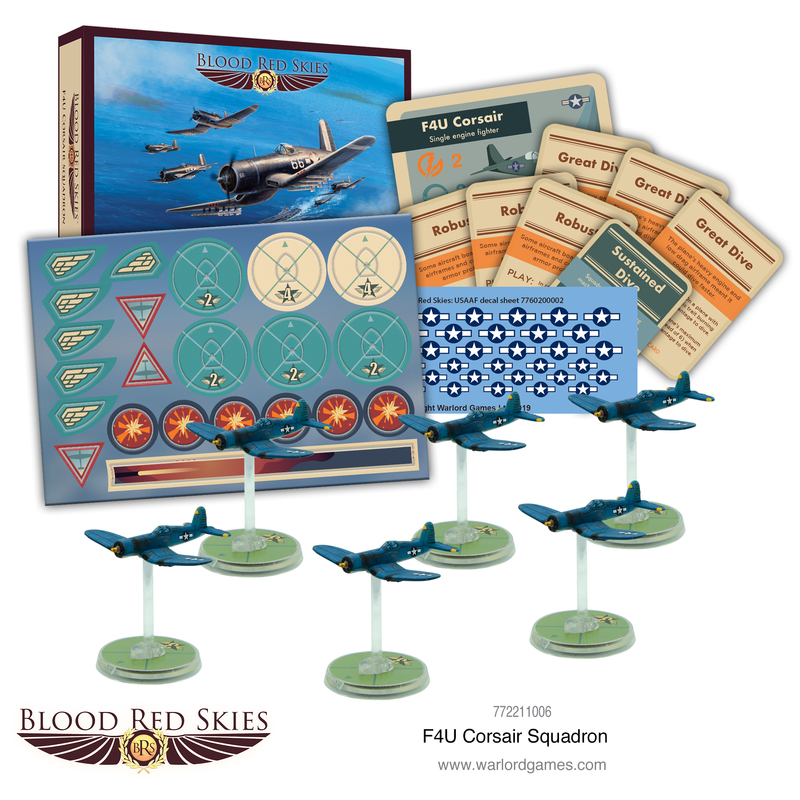 They took part in the 1942 Battle of Guadalcanal. 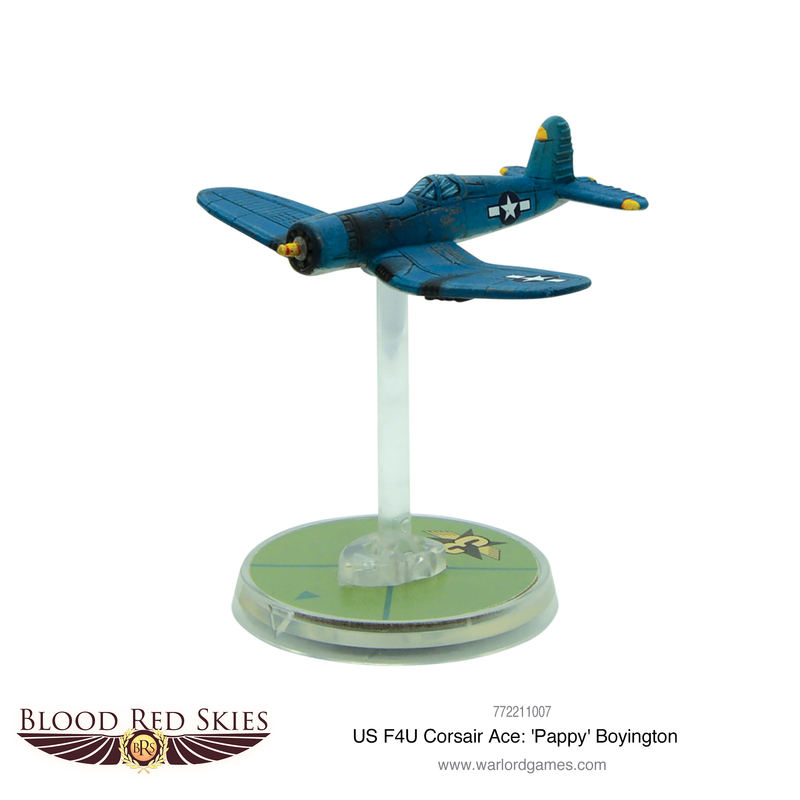 After this second tour, the squadron returned to the U.S., transitioning to the Vought F4U Corsair in January 1945. The Grim Reapers returned to the Pacific aboard USS Intrepid (CV-10) and took part in strikes against the Ryukyu Islands, Kyūshū, Okinawa and Wake Island. 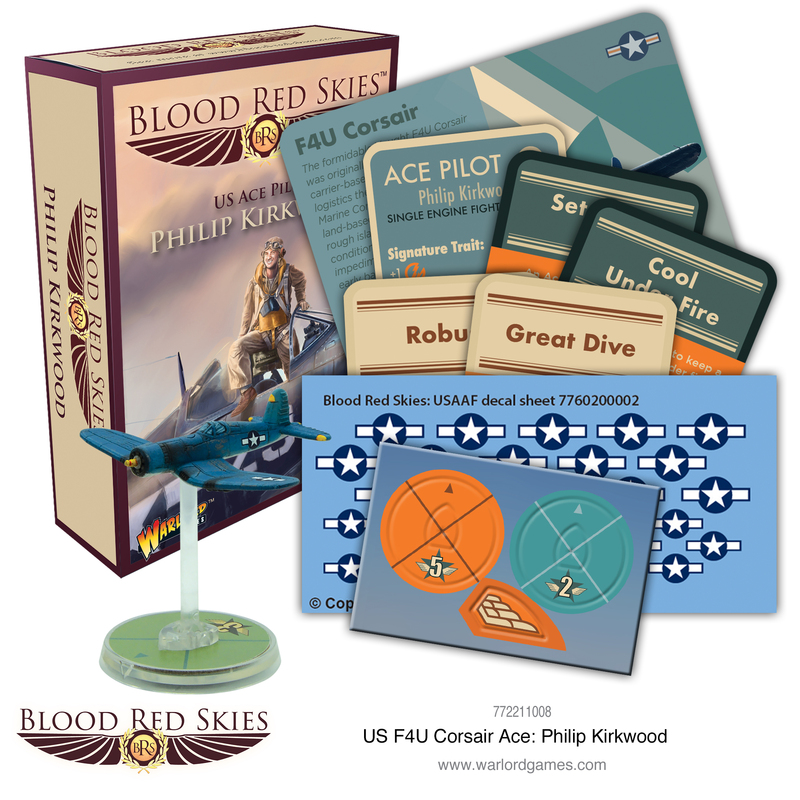 This is where ACE (then Lieutenant, Junior Grade) Philip Leroy Kirkwood was awarded the Navy Cross for extraordinary heroism in operations against the enemy. 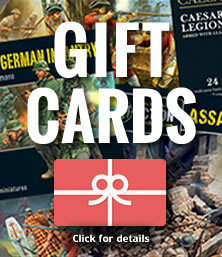 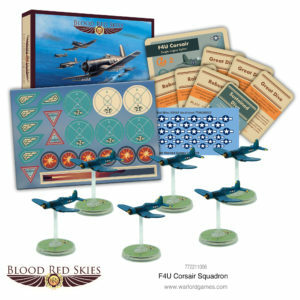 This set gives you all you need to field a squadron of the f4U Corsair in your games of Blood Red Skies!